Create data plugins using UbiFunctions to extract data from 3rd party platforms and perfect your Ubidots powered App. However, as with most of life's intricacies, reality is a bit more complex. Depending on your Application’s requirements and hardware constraints, data may require additional stops before being visualized and made available to end-user via your Ubidots powered App. Your App many require the applications of a Machine Learning or Data Cleansing algorithm, or possibly enlist in one of the hardware device management services provided by dozens of OEMs in today’s maturing world of IT solution development. Using the Data Plugin capabilities enabled by the UbiFunctions engine you can effortlessly aggregate valuable data into your Ubidots-powered IoT app to give your App and its users the best solutions possible. Simply, a plugin is a Parsing Function that when programmed properly can understands particular inputs with a specific data structure and then transform said structure into an Ubidots-readable output. Lastly, your data can even come from devices you don’t own or operate (like weather stations that feed data to WeatherUnderground or OpenWeatherMaps) - and even virtual sources! (like the Energy prices of the US Energy Information Administration - EIA. The Device Plugin feature presently is a tool within the larger UbiFunction engine. 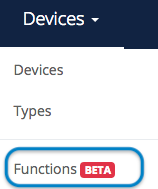 Accordingly, you can code your plugin's using "Functions" located in the Device Management tab of your Ubidots Admin account navbar. 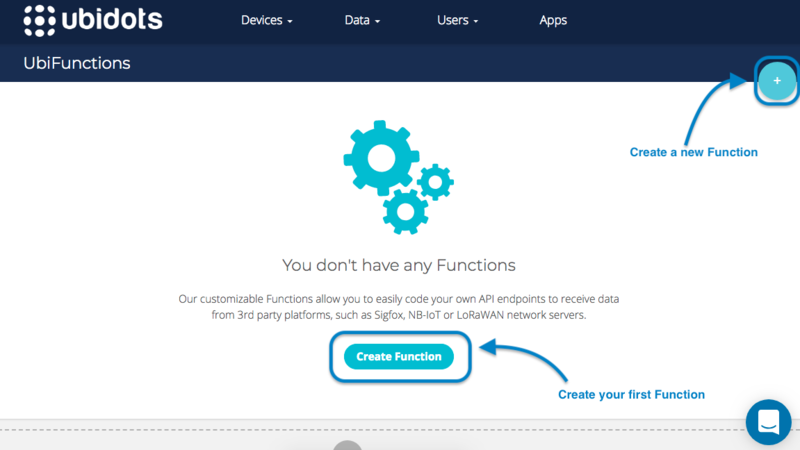 If you do not yet have the UbiFunctions add-on enabled in your Ubidots account, you can quickly enable it from the billing section of an Admin account, or by clicking here. 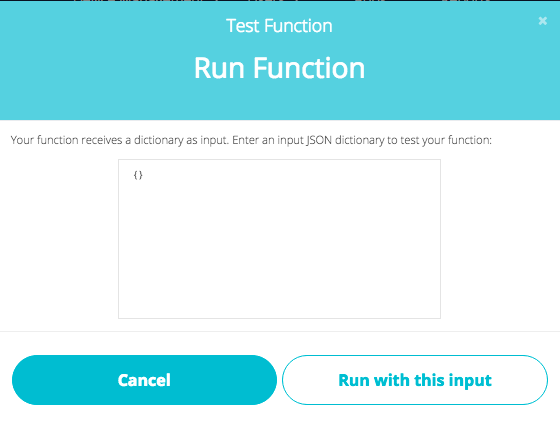 Step 2: Give the parsing function a name that describes the type of device you're plugging into Ubidots. We recommend using the format "Brand-Reference", i.e. "mcthings-mctrack" or "digitalmatter-oyster". Step 3: Click on "Make it live" to deploy an API endpoint URL containing the name of your function. You should see the updated URL created directly from the UbiFunction tool. This endpoint where be where you point any data coming to Ubidots. By default, every new UbiFunction is populated with a sample code that uses input data (TOKEN, Device, & Temp Value) to make a request to Ubidots API. This sample code demonstrates a simple HTTP GET endpoint that receives an Ubidots token, a device label, and a temperature value as URL parameters, then uses this data to make an HTTP POST request to Ubidots API. See below for some already available integrations or plugins to get your data from other popular IoT Platforms.